This statistic shows how the November 2015 terrorist attacks in Paris impacted bookings by U.S. travels to France, by share of U.S. travel agents as of December 2015. 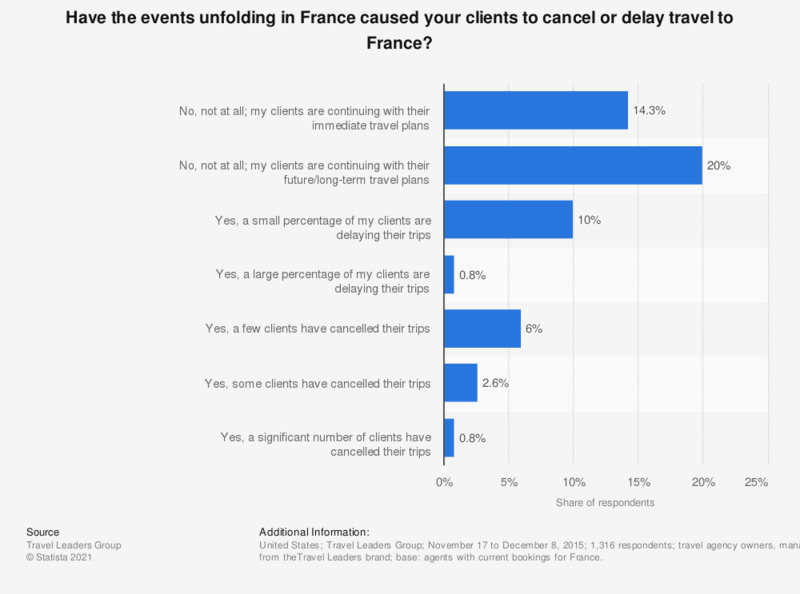 During the survey, 10 percent of respondents cited that a small percentage of their clients are delaying their trips to France. travel agency owners, managers and frontline travel agents from theTravel Leaders brand; base: agents with current bookings for France. * Based on actual bookings for 2016 as of December 2015. In light of the recent events in Paris, would you, personally, still travel to France at this time?